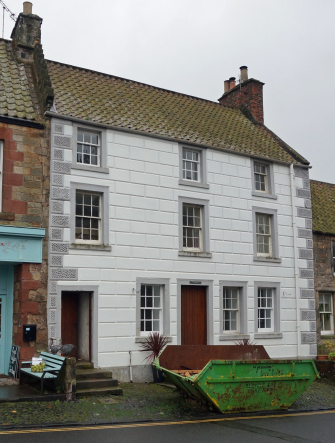 The birthplace of Rev Richard Cameron is located at the west side of Falkland's Square. The present house has been rebuilt since Cameron's time. On the lintel of the front door the small plaque indicates the birthplace. Rev Richard Cameron was born in the village of Falkland in Fife in 1648. 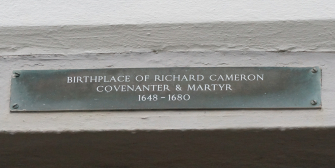 Rev Richard Cameron was killed with other Covenanters at the Battle of Airds Moss in 1680.